We would like to welcome the following chapters into the Pi Gamma Mu family! During the 2011-12 school year, we have added these new chapters: Alabama Eta chapter at Athens State University, Arkansas Zeta at University of Arkansas, Little Rock, Colorado Theta chapter at Adams State University, and South Carolina Nu at Allen University. Americans will have to choose between two candidates who have very different values, who propose contrasting visions for the direction in which the country should go, and who present contrasting solutions to deeply rooted problems plaguing the nation. 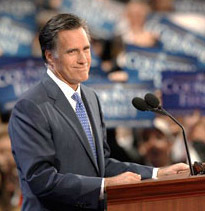 Three debates were scheduled during October 2012, allowing Americans to thoroughly evaluate Democratic President Barack Obama and his Republican challenger, former Massachusetts Governor Mitt Romney. 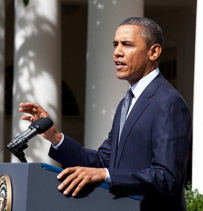 Heading into the November 6 election, the Obama campaign has operated from a platform that seems to be based on this question: "Will the country fare better by returning to the policies of George W. Bush?" Hugh C. Bailey, ninth international president of Pi Gamma Mu who led Valdosta State University for 23 years, during which he transformed the school from a four-year college to a regional state university, died in Valdosta, Ga., on Friday, October 5, at the age of 83. Dr. Bailey was born in Berry, Ala., on July 2, 1929. Bailey earned a B.A. degree in history in 1950 from Howard College (known as Samford University since 1965) in Birmingham, Ala., at which he was initiated to membership in Pi Gamma Mu. Bailey went on to earn an M.A. degree in history in 1951 and a Ph.D. degree in history in 1954 from the University of Alabama. Pi Gamma Mu extends our condolences to the family and friends of Teri Jo Reese Hull, 25, of Saint Simons Island, Ga., who passed away at her residence Tuesday, August, 7, 2012, after a valiant seven-month battle with cancer. Teri Jo was an initiate of NGCSU’s chapter of Pi Gamma Mu. The Nigerian proverb, "It takes a village to raise a child," became well-known in the United States when then-First Lady Hillary Rodham Clinton used it as a theme of a 1996 book about society’s obligations to children. My theme in this column is that it also takes a lot of cooperation involving a lot of people to cause Pi Gamma Mu to be healthy‑‑in terms of finances and the manpower and womanpower to deliver high-quality service‑‑so that it remains a highly regarded collegiate honor society. Pi Gamma Mu has a Facebook page. When you do a search, two pages will come up for Pi Gamma Mu. One is listed as an Interest and the other is listed as Education. The Education page allows you to post comments. We periodically post announcements, opportunities that are available, and deadlines (such as the scholarship deadline) on the Facebook page. We are asking Pi Gamma Mu members, sponsors and board members to go online and "Like" us. We would love for you to share your activities and photos on our Facebook page. In 2004 the Board of Trustees established the Pi Gamma Mu Hall of Fame. The first inductees were announced during the Triennial Convention in 2005. They were Pi Gamma Mu’s founder, Dean Leroy Allen, the late Executive Secretary Effie Urquhart, former Executive Director Ina Turner Gray and the late president Dr. C. Howard Patterson. During the 2006 board meeting, past president Dr. Scott Johnson was inducted into the Hall of Fame. At the convention in 2008, long-time volunteer Stephen L. Fisher, past president Orville D. Menard, the late chapter sponsor Patricia A. Mulvey, and the late legal counsel Daniel E. Quigley were inducted. Are you registered to vote in this year’s election? Your vote can make a difference this November. Call or visit your local voter registration office to find out where you go to vote. Make sure your voice is heard – every vote counts! As usual, our wonderful chapter sponsors and student members have given of their time and talents to help their college and community. Please look over this list – you might get an idea from the activities listed for a project your chapter would like to do. This newsletter has news from Evangel University, University of Mary Harden-Baylor, Salisbury University, Florida State University, Dominican University, Washington and Jefferson College, St. Joseph's College, and Siena Heights University. 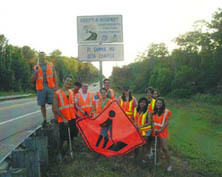 Florida Zeta chapter at Florida State University have been busy this year, getting involved in activities including the Adopt-a-highway program, the Student Food Pantry, Disability Awareness Day, and the Serving Those Who Serve Us campaign. Jamie Cooper, student representative on the Pi Gamma Mu board of trustees from 2002 to 2005, is now the associate director of development for the Biomedical Graduate Research Organization at Georgetown University. Pi Gamma Mu is having an inventory reduction sale! 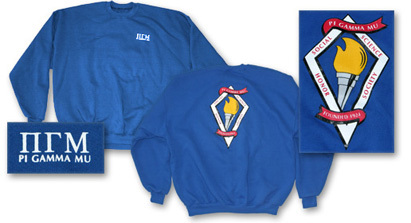 We are offering our Pi Gamma Mu polo shirts and sweatshirts (shown) at the reduced price of $25. You can purchase them from the Merchandise page of our Web site or call headquarters (620-221-3128). While Pi Gamma Mu is not the largest or wealthiest of the 62 national and international honor societies affiliated with the national Association of College Honor Societies (ACHS), arguably our international officers and trustees and our chapter sponsors are the hardest-working volunteers who can be found in any of the societies. Please, would you consider being one of our tenacious partners? We gratefully accept donations of any size. Pi Gamma Mu wishes to thank its donors who made contributions of $25 or more during our fiscal year from September 1, 2011, to August 31, 2012. Anytime you move, such as after graduation, please notify the Pi Gamma Mu office immediately. This will prevent your mailings from being interrupted or discontinued. We would appreciate it if you would mail a change-of-address card, post card, or letter with your name and old and new address to: Pi Gamma Mu, 1001 Millington, Suite B, Winfield, KS 67156. You can also E-mail the information to us at executivedirector@pigammamu.org, or use the Web site form.